Admission in MBA programs of leading B-Schools worldwide depend on the standardized testing score of GMAT exam to fill up the seats for their high quality graduate management programs. So, if you are considering making a career in the world of business and large corporate, then roll up your sleeves and get set for the GMAT exam. GMAT is a computer adaptive test administered by the Graduate Management Admission Council. This means that the computer sets the difficulty level of your questions based upon your performance on previous questions in the exam. GMAT exam scores are often reviewed by employers and recruiters of leading corporations at the time of placement as well. Thus, it is absolutely essential to be prepare for the GMAT exam to score your best result. Here are ten vital guidelines to be followed to beat the GMAT. Even before starting to prepare for the GMAT, you must define what your goals are. The candidate should set an achievable target score beforehand. If the aim is predetermined then it becomes easy to kick start with the preparation plan, to carry forward the attained momentum and to convert the hard work into successful result. Visualizing the goal keeps the candidate motivated and going throughout the initial preparatory phase of GMAT. It is important to target for a higher than average GMAT score. Also, having a realistic goal score target serves as an important motivating factor. While appearing for diagnostic tests (such as Kaplan), which are on average tougher than the actual GMAT exam, the target goal score will help in pointing out the discrepancy in our preparations. Falling short of the score target in practice tests can positively motivate test takers to set learning goals to improvise on the areas in which they performed badly in the diagnostic tests. Once you have decided to take the GMAT exam, it is absolutely necessary to understand important facts about the GMAT and the exam structure. Beating the GMAT exam heavily relies on your understanding of the test and its algorithm. The GMAT has 4 sections- Analytical Writing Assessment, Integrated Reasoning, Quantitative Section and Verbal Section. Also the GMAT is a Computer Adaptive Test (CAT) which means that the level of difficulty of the next question is decided by the answer of the previous question. Remember!! The more difficult the questions appearing are, the better you are performing. However, it is critical to know that a few non-consecutive mistakes would not hurt your score much. Another critical factor for succeeding in the GMAT is selection of the right study material- both online and hard copy. Courtesy Internet, there is no shortage of information on the GMAT, reading material for GMAT preparation, practice tests, Flash Cards and other study aids for GMAT test preparation. But it is important to select study material from authentic sources only. Carefully reading the Official Guide to GMAT review (OG) is mandatory to understand and practice the actual format of questions asked in the GMAT. The OG for GMAT verbal review and the OG for GMAT quantitative review are also good resources for practicing questions. Joining online test prep forums is also helpful but the authenticity of the resources must be verified. Do not believe in whatever you read or see without confirming from trusted sources. Soundness of the resources is extremely important and critical to your understanding of any topic. Misconceptions about any topic might lead to a disastrous GMAT score. After sorting the study material, you can prepare an extensive 2-3 months GMAT study schedule depending on your free time. Most test takers easily manage to study for the GMAT exam while working as well. It is preferable to study in the same time period rather than changing the time, every day. This would help you get used to the preparation schedule as well as also help in time management while preparation and in the actual test. Studying 2-4 hours a day should be sufficient to complete the required preparation. However, it is equally important to relax during the preparatory phase. One should not think twice before enjoying the weekends. Sound sleep is another key factor to rejuvenate the body and brain and get back to the business the following day. It is, therefore, important to maintain balance between the studies and other relaxing activities. Acing the GMAT is not rocket science. All you need to do is to get your fundamentals right. The questions that the GMAT throws at you will test your basic mathematics and verbal skills. Revising selected topics of school mathematics and working on the reading comprehension, grammatical analysis and logical reasoning abilities will sail you through the GMAT. Therefore, brushing up the basics becomes mandatory while preparing for the GMAT. More than anything else, GMAT is a test of your endurance. Taking the test is a tiring experience. Thus, one needs to build up on endurance and get used to the GMAT. Routine study as well as regular mock tests can really help serve this cause. Also, regular exercise, yoga, proper diet, requisite fun and sound sleep can boost the endurance a candidate needs to nail the GMAT. Taking as many CATs as possible is important because it helps you improve on your mistakes and it helps you get used to finishing the test on time. Analyzing each test and its results on the same day is a must, if you want to learn from your mistakes. Numerous online tests from institutes like MGMAT, Kaplan, Score800, GMAT test prep by assignmenthelp.net etc. are available. Two weeks prior to the exam, it is critical to take the CATs provided the GMAC, the makers of the GMAT. This will help you know where you stand. Your performance in GMAT depends on both preparations before the exam and time management during the exam, equally. There is a penalty if the test is not completed in time. Running short of time during the test may lead to panic and therefore low score. Practicing CATs will help improve in time management. Successful time managers will automatically keep calm during the test and as a result they will perform better. Quick and reliable decision making is required throughout the exam period. A candidate should not let his mentality hurt simply because of his inability to solve a question or two. At times letting go a difficult question by making an educated guess is the best thing during the exam. Also, the decision to book the test date should be made only when the candidate is confident of scoring well. Last, but not the least; hard work is the key to beat the GMAT. A candidate should not give up on practicing as many questions as possible. Practicing will not only make you familiar with the exam pattern but also help boost your score. One should be confident and determined throughout the preparatory period and more importantly during the exam. In conclusion, all that is needed to conquer the GMAT is a balanced mix of hard work, time management, smart decision making and sheer determination. Looking for reliable and affordable online tutors for GMAT test preparation help? 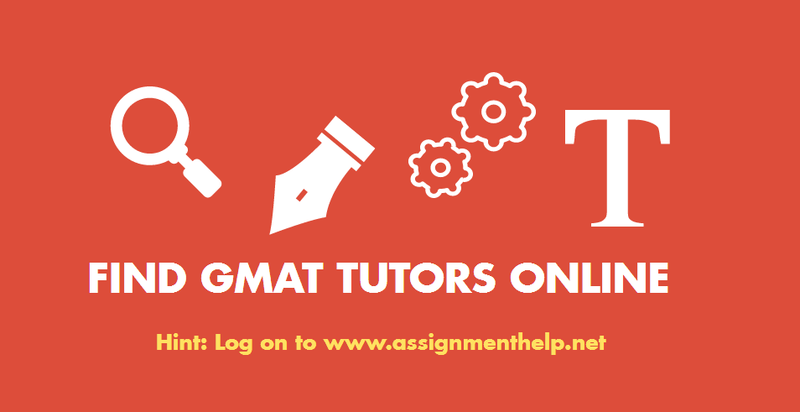 AssignmentHelpNet is here to help you with online GMAT exam preparation service. Our online tutors offer test preparation service for help with preparation for standardized tests such as GMAT, GRE, SAT, ACT, MCAT, LSAT and many such exams for business schools and college studies. Our online test preparation service offers affordable and trustworthy tutoring for practicing concepts and problem sets based on actual GMAT test patters, making students proficient in GMAT test preparation for admission into leading business schools globally.